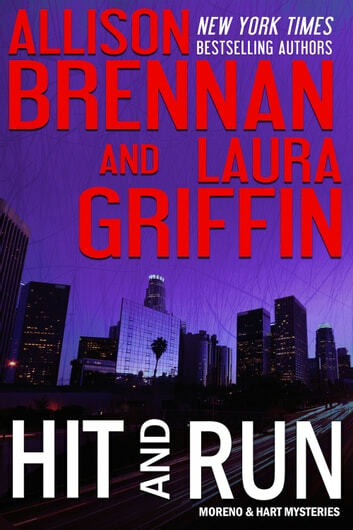 New York Times bestselling and award winning authors Allison Brennan and Laura Griffin team up for their second book featuring the unforgettable Southern California detective duo, Moreno & Hart. Scarlet Moreno gets a panicked call from long-time friend Jason Jones, an LAPD street cop wanted for killing his girlfriend. Paranoid with no one to trust, he reaches out to Scarlet for help. Before they can figure out who set him up, a SWAT team descends, Jason runs, and Scarlet is left with questions she can't answer when the police show up. She’s determined to prove Jason innocent, but the cops want him behind bars and someone else wants him dead. As Scarlet digs deeper into the murky case, she realizes that whoever is framing Jason wants her dead, too--and it might connect to the ambush that nearly killed her and Krista three years ago. 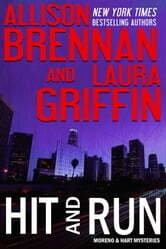 Krista Hart doesn’t want to team up with rival private detective R.J. Flynn. And she definitely doesn’t want to help an unscrupulous trial lawyer get away with murder. 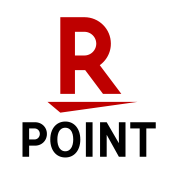 But when R.J. pulls her into his latest high-profile case, Krista realizes that nothing about the murder of a beautiful Laguna Beach housewife is quite what it seems. Krista sets out to uncover the truth--no matter whose side it helps--and manages to provoke all the wrong people, including a vicious murderer who won’t hesitate to kill again and then make a run.